You Could WIN $10,000 when you Bring a Buyer! Yes, it is that simple. This home is entered in the Coldwell Banker of the Valley $20K program. 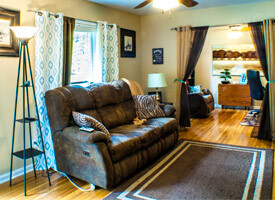 When your buyer purchases this home you are automatically entered to WIN! Just a short distance from upscale shopping at Bridge Street, this quaint home is more than meets the eye. With a large shaded yard in a quiet neighborhood, this split level rancher offers a sense of spaciousness without being alienating. With hardwood floors and natural light throughout, you’ll enjoy family meals in the cozy breakfast nook. Retire in the evening to the living area or well-appointed study. 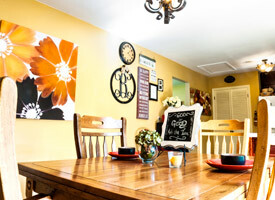 With hardwood floors and natural light throughout, you’ll enjoy family meals in the cozy breakfast nook.